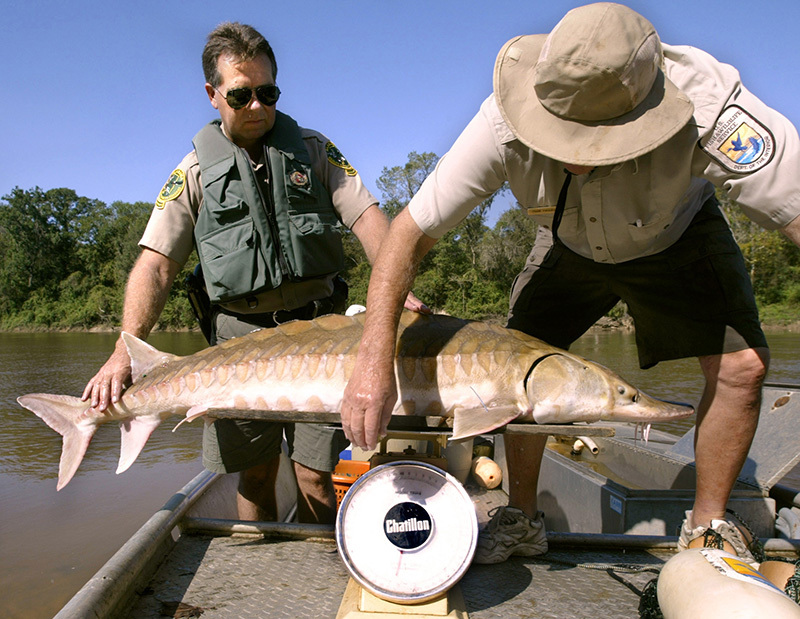 Gulf sturgeon are caught in the Conecuh River, which runs northeast-southwest through the eastern half of Escambia County. Courtesy of The Mobile Press-Register. All rights reserved. Used with permission. Photograph by Bill Starling.